There’s been a bit of a lull in activities since our webinar for ALT, but events are now starting to come thick and fast in our consultation series. Readers of the blog can catch up with us live in London, Leeds, Bristol or Glasgow in the coming weeks. Meanwhile I have had the opportunity of getting involved in several ways with the Changing the Learning Landscape (CLL) programme. 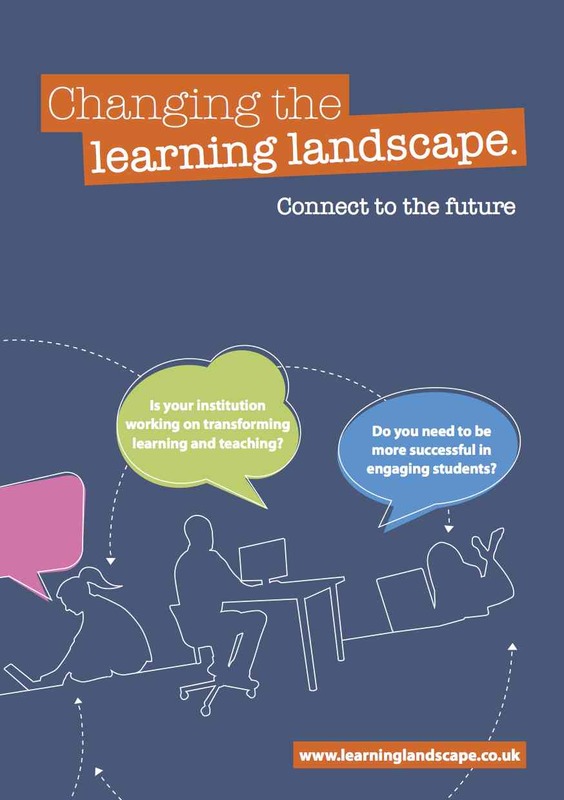 Now in its second year, this partnership-funded initiative aims to help universities initiate a ‘step change’ in learning and teaching through staff-student partnerships, collaborative enquiry, effective use of technologies in the learning environment, and the development of a distinctive learning and teaching offer. On May 7th I was lucky enough to present findings of the Jisc Developing Digital Literacies programme to a CLL workshop on digital literacies, hosted by the Higher Education Academy. This prompted me to bring together some resources from the programme relevant to subject teaching in disciplines. I was also challenged to reflect on how best to engage academic teaching staff in thinking about the digital environment for learning. This seems to be a common theme across recent initiatives: the need for academic staff, professional staff and students to work more collaboratively and to understand and support each another’s contributions to the learning environment. I have also been engaged as a consultant to several CLL institutional projects over the two phases of the programme. As with the HEA funded projects, I have been interested to discover a powerful interest in using social media for learning and teaching activities. One approach is to have students generate digital artefacts that have a public life beyond the classroom. Contributing to original research or data sharing resources, editing blogs and wikis, sharing learning materials or showcasing creative work are all ways of breaking out of the ‘walled garden’ and inviting a broader engagement than is possible through staff or peer assessment. Another approach is to bring digital identity work into the curriculum, whether through a focus on employability and building a professional profile, or through a focus on reflection and personal development. These approaches inevitably cross institutional boundaries and pose challenges for ICT infrastructure and policy. Again this is where professional and academic staff and students need to be dialogue. Sometimes different cultures will be in conflict: students’ desire for a ‘safe space’ to learn against the academic values of shared knowledge and public performance of ideas; fair use against free expression; parity of experience against students’ free choice of media/devices/networks; the capacity to easily track students’ online learning against the value of developing a wide repertoire of digital spaces and places. These discussions cross technical with educational and cultural considerations – which is why they are interesting! Please comment and get involved. We also hope to see you at one of our live events. I’ve been really interested to hear about your research. I’m part of a partnership led by Worcester College of Technology doing research for the ETF on how well Initial Teacher Education develops practitioners’ digital literacy skills and use of learning technologies. Do join in the debate there; we would be interested in your perspective and that of any interested colleagues. I recognise the comment above re. “students’ desire for a ‘safe space’ to learn against the academic values of shared knowledge and public performance of ideas” in work I’ve done getting my class on twitter. Important to have a ‘safe space’ to allow students to feel comfortable, but (in the exercise I tried out) we all protected accounts and this has now made it difficult for me to share more publically some of the great work (and fun) we had on twitter. I spoke about this at the April HEA LJMU day on ‘Digital Literacies in the Humanities’ org. by Clare Horrocks.